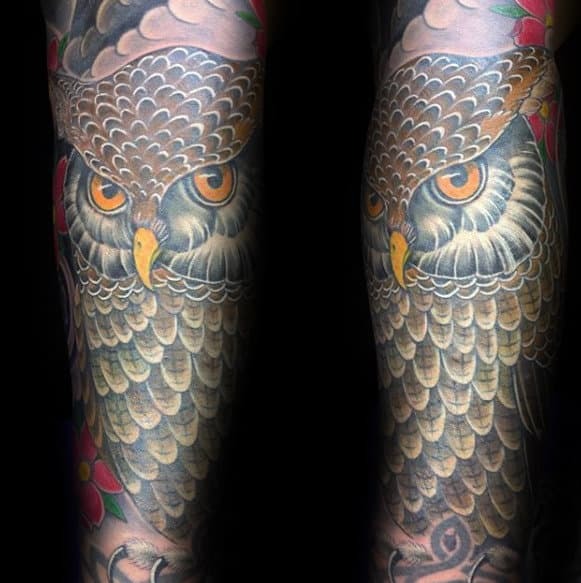 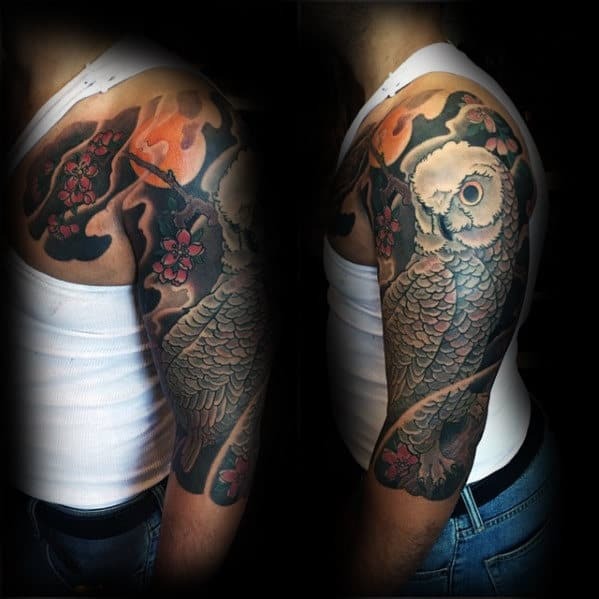 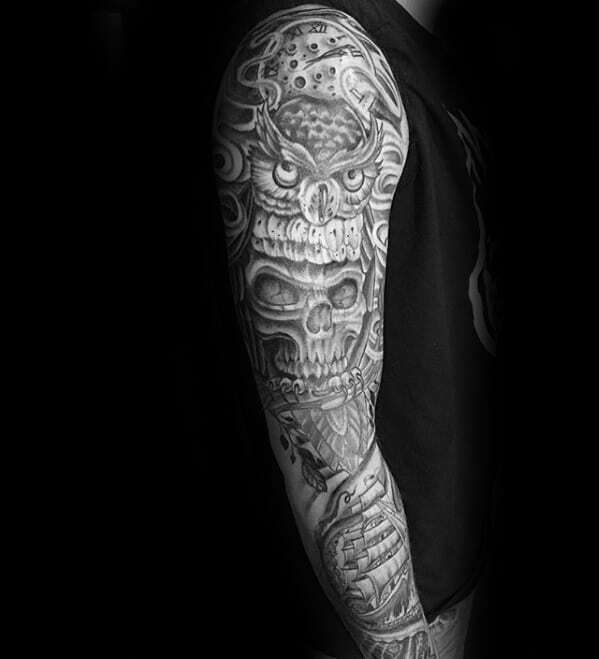 Owl sleeve tattoos can be very elegant and attractive, hence their popular demand in tattoo shops. 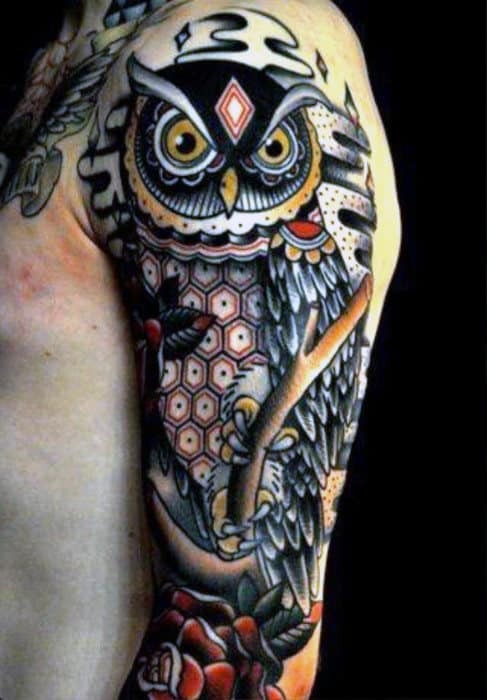 The owl means many things of course, due to its various links with different cultures. 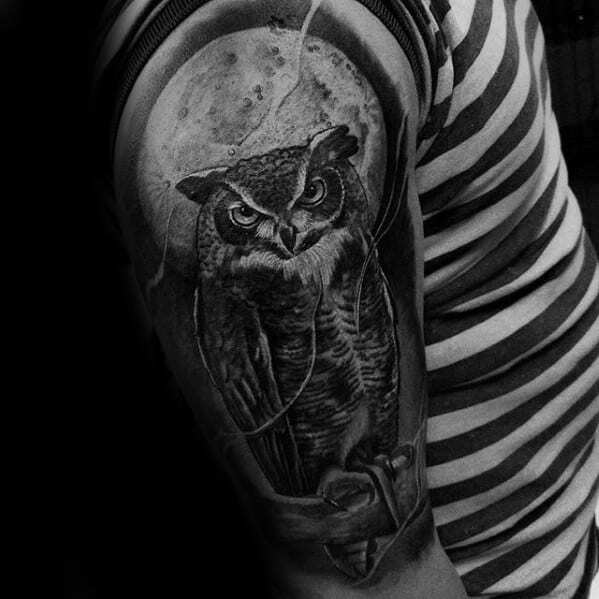 For Greeks, the owl is a holy symbol that’s associated with the learning goddess Athena. 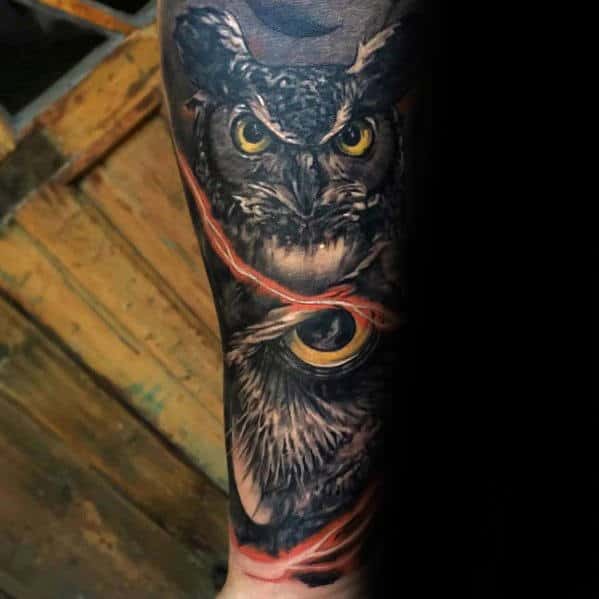 Alternatively, Native Americans believe the owl to be a guardian of sacred knowledge, hence why it’s usually a representation of knowledge or information. 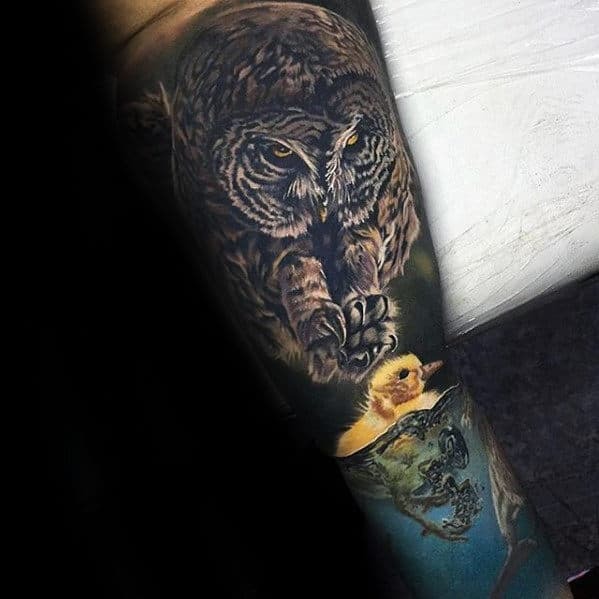 Because it’s nocturnal, the owl is mainly found at night, making it difficult to find but a precious thing to look for. 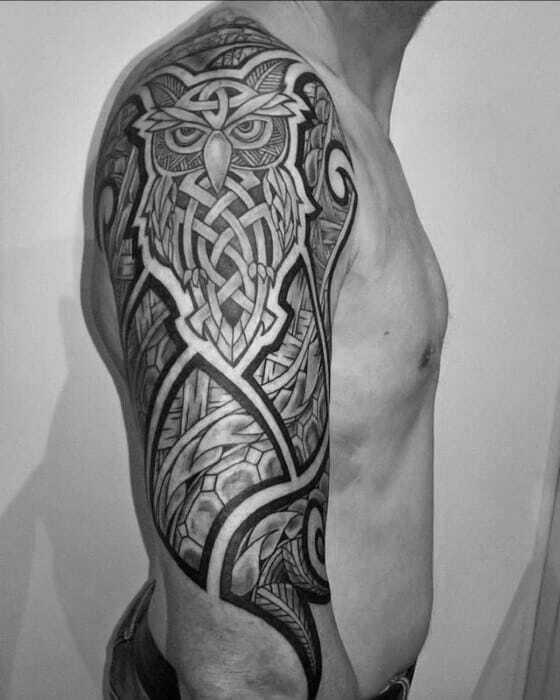 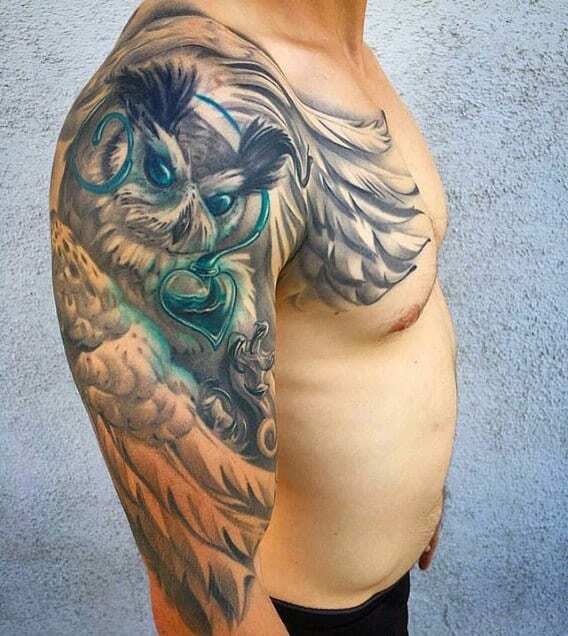 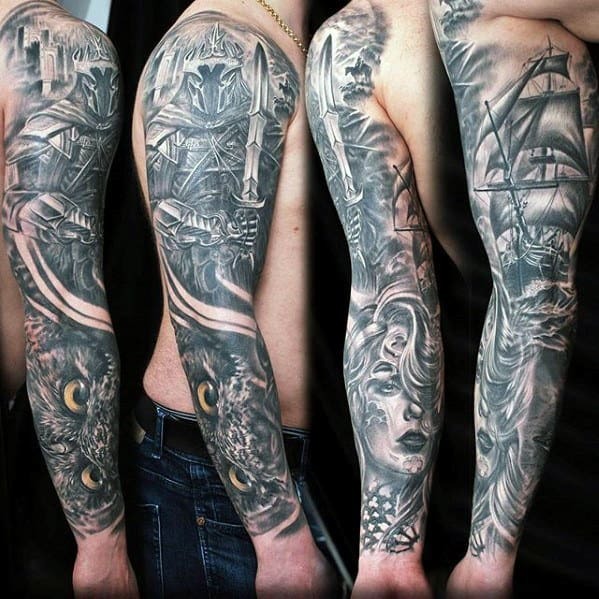 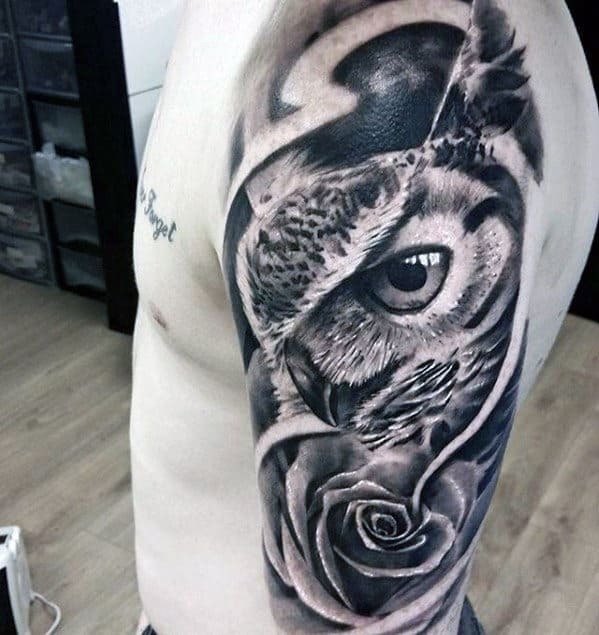 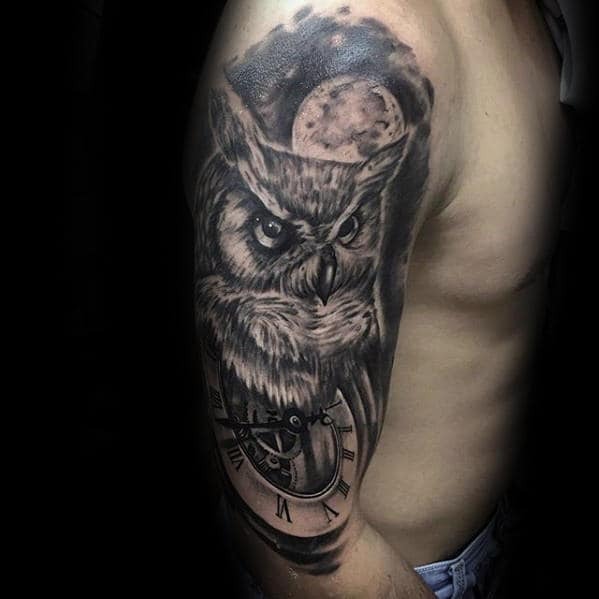 Most of the time, especially with men, the owl tattoo is of a complicated, highly detailed and beautiful design. 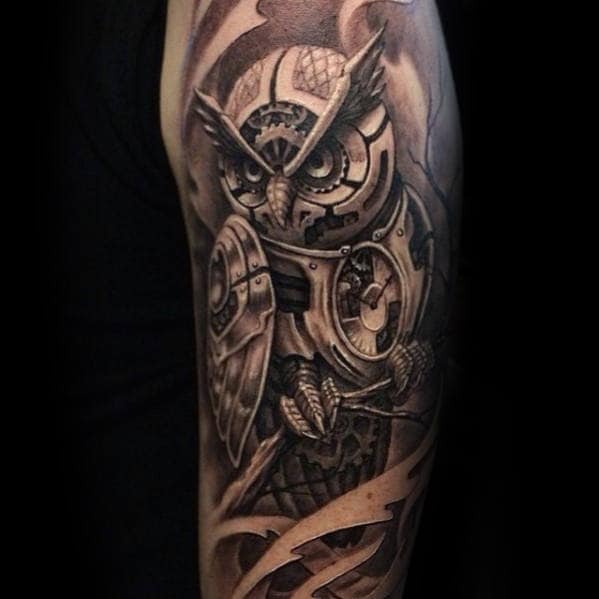 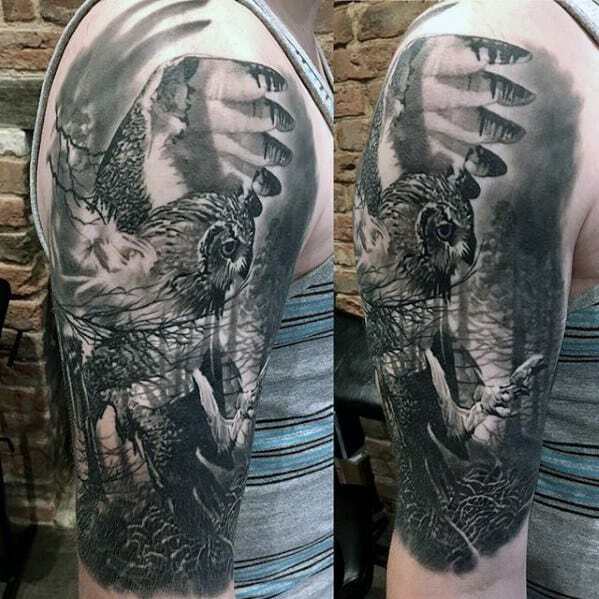 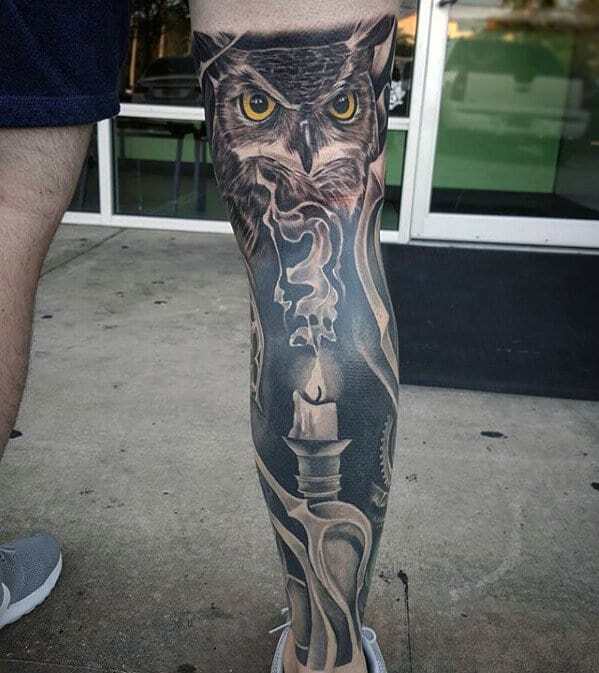 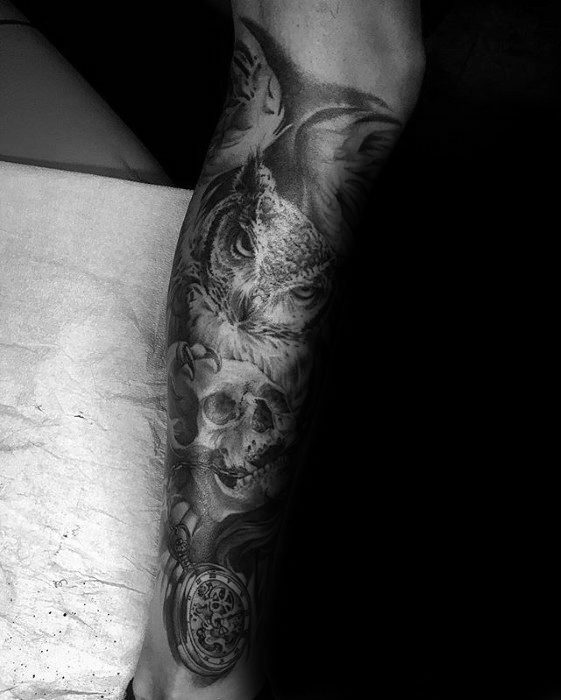 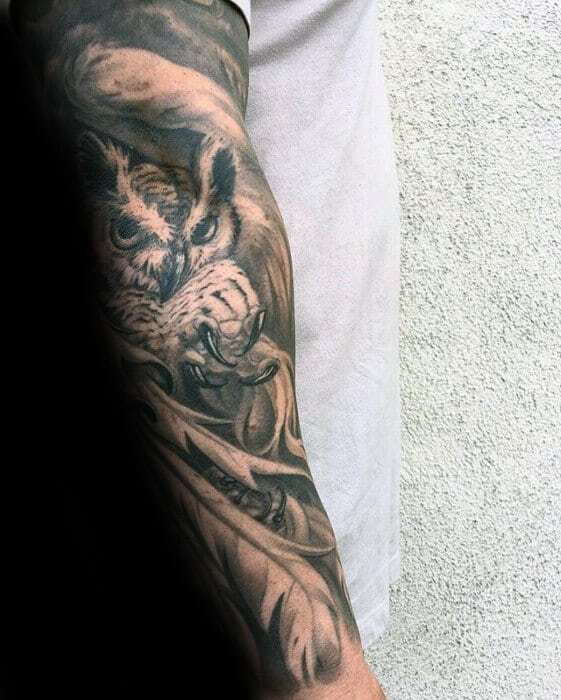 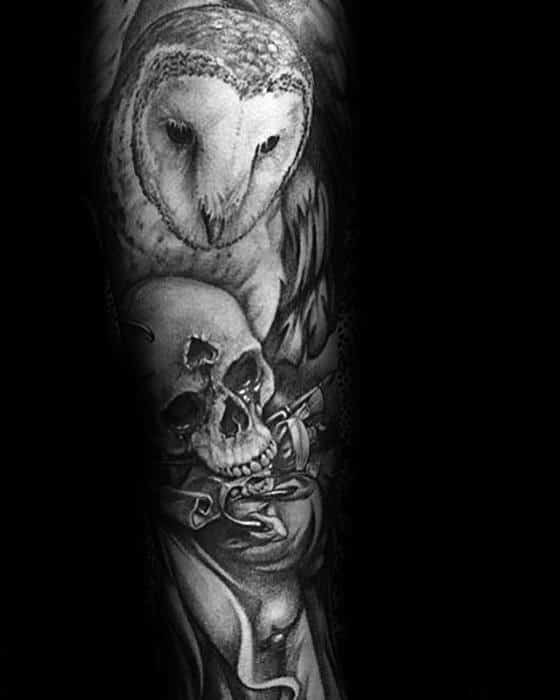 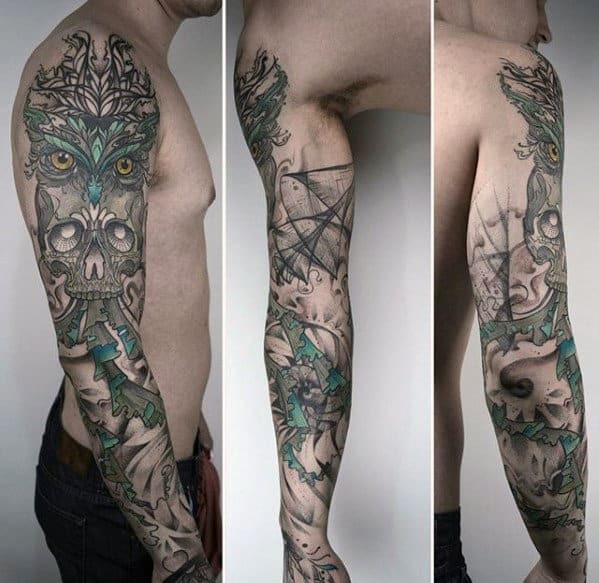 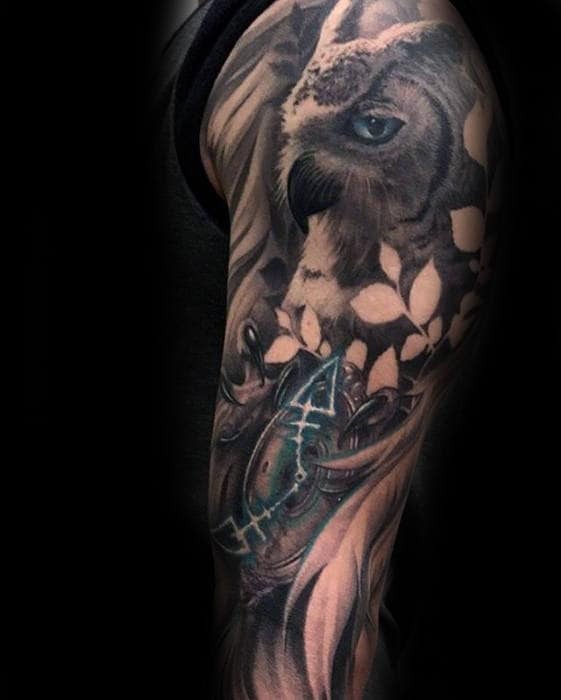 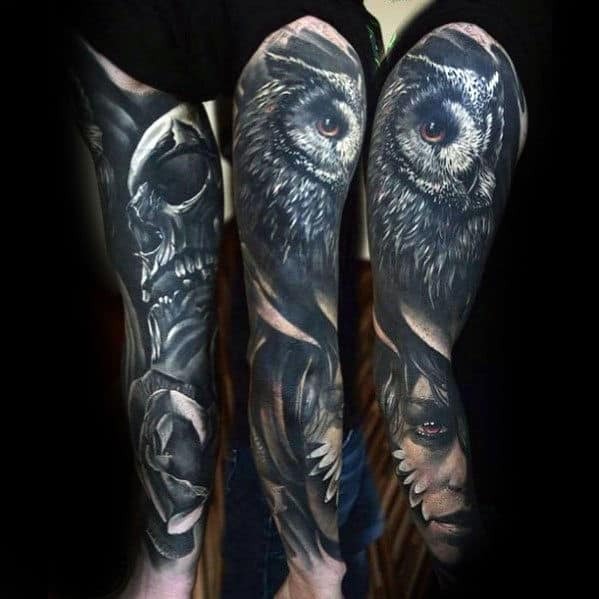 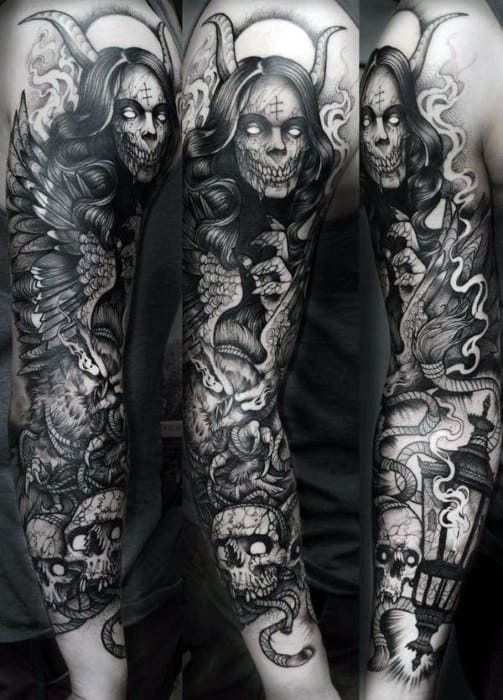 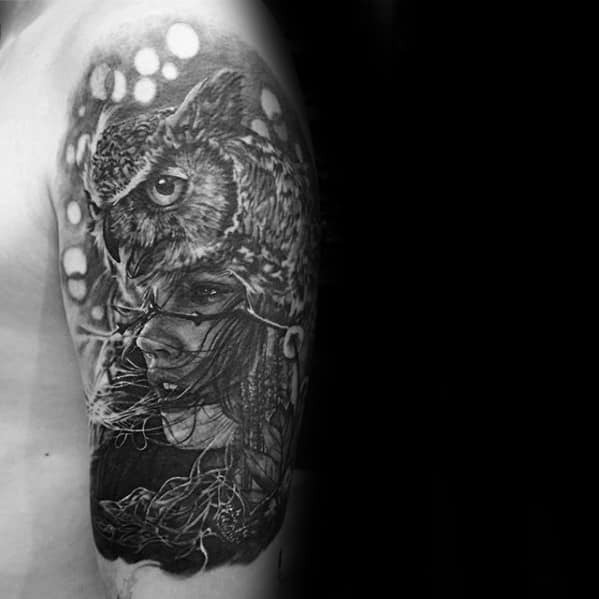 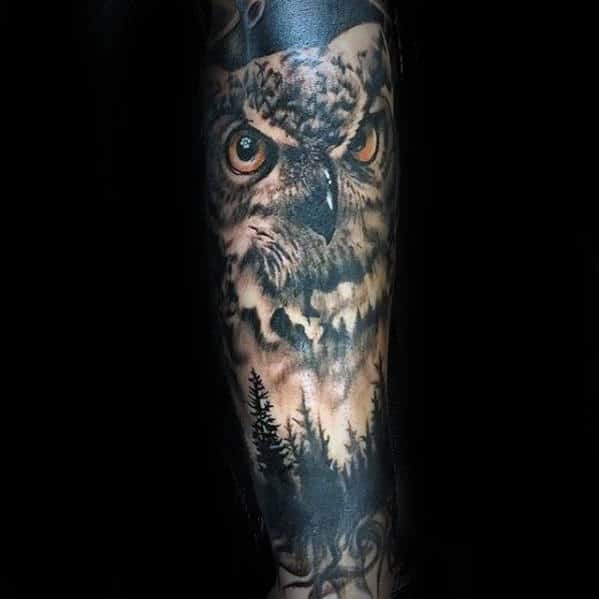 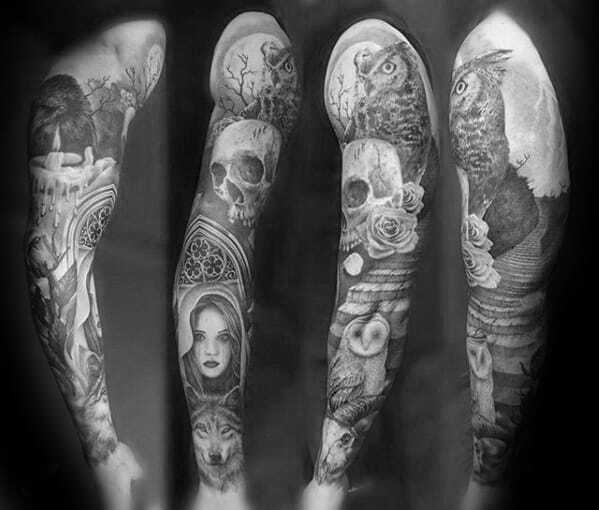 Many get a whole sleeve of the owl to serve as a noticeable symbolic mark. 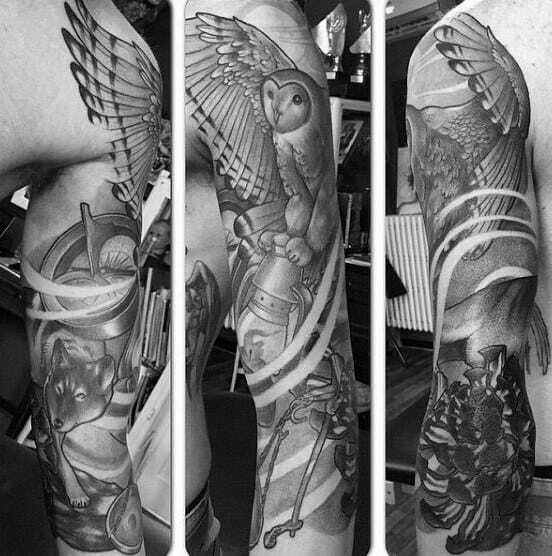 These meanings may be a mark of experience, an emblem of vision, a symbol of transition, or even an icon of knowledge. 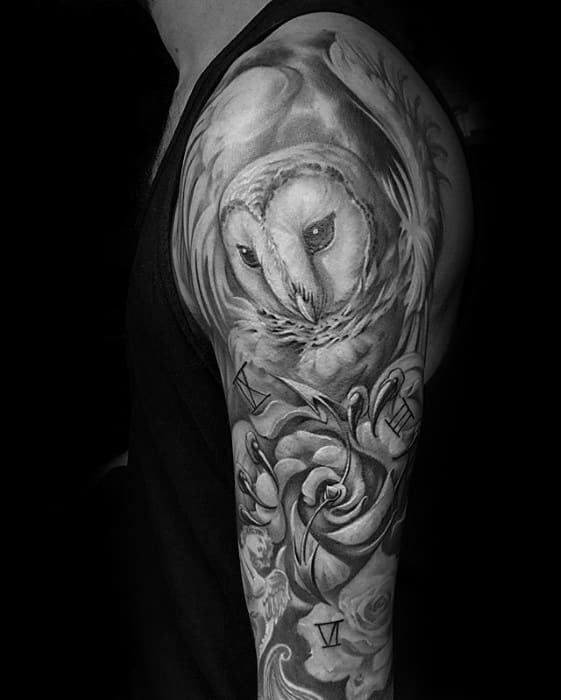 Paired with the moon and the evening, the owl represents those who feel strongest and most focused at night. 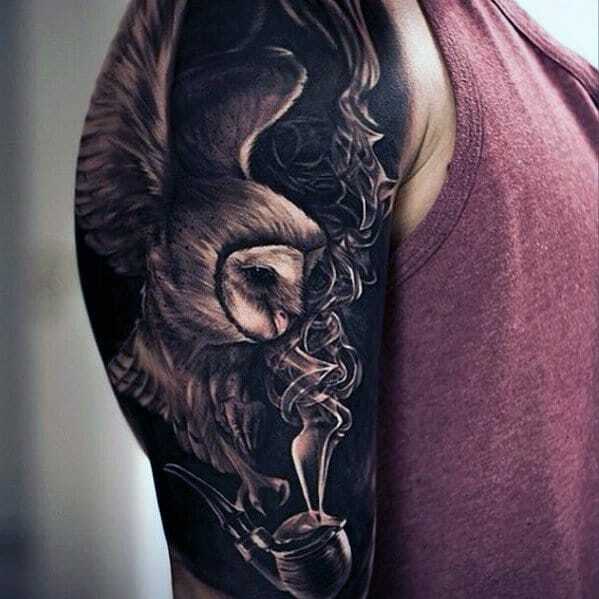 This avian creature is the perfect counterpart for men who wish to have a noble insignia with them forever. 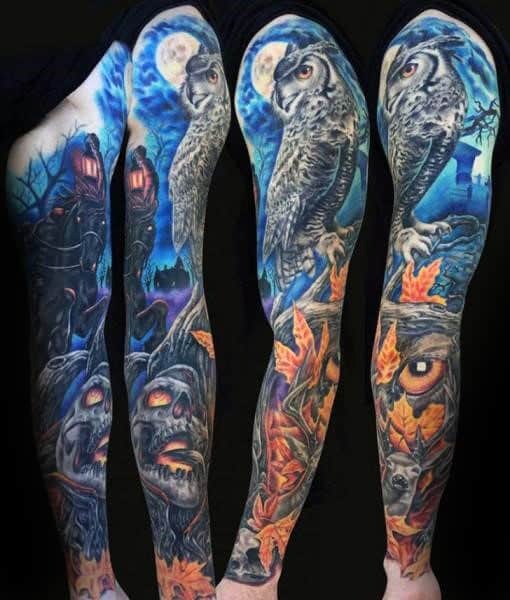 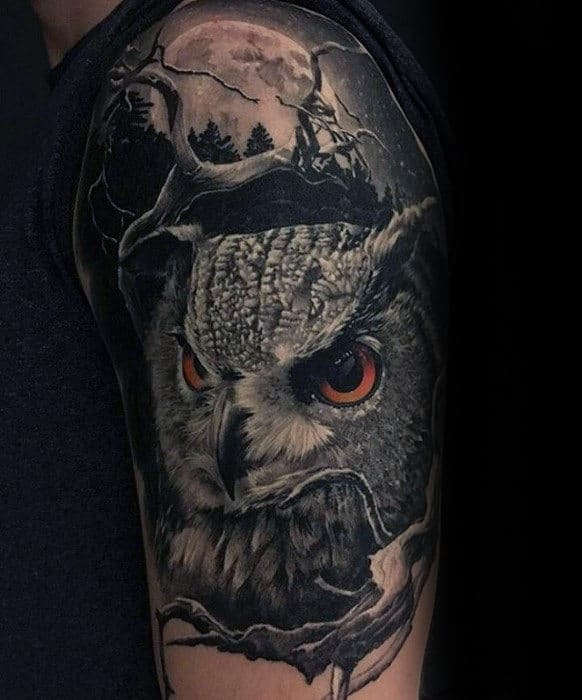 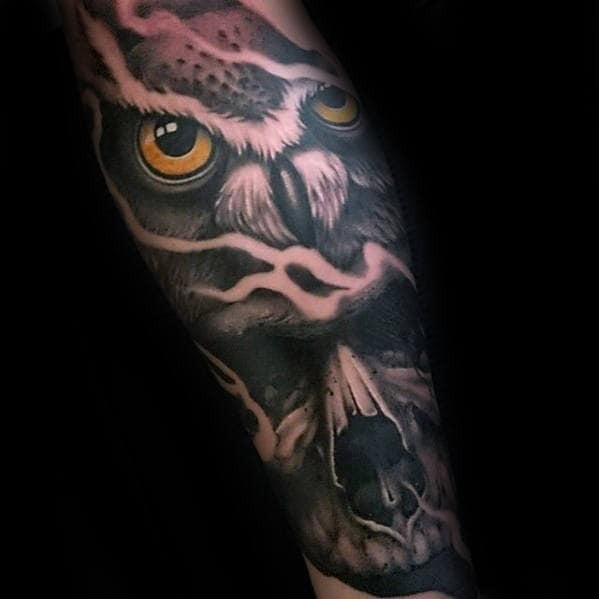 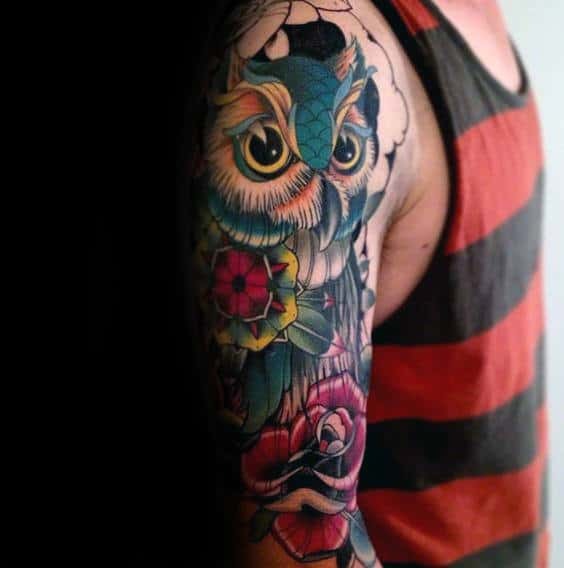 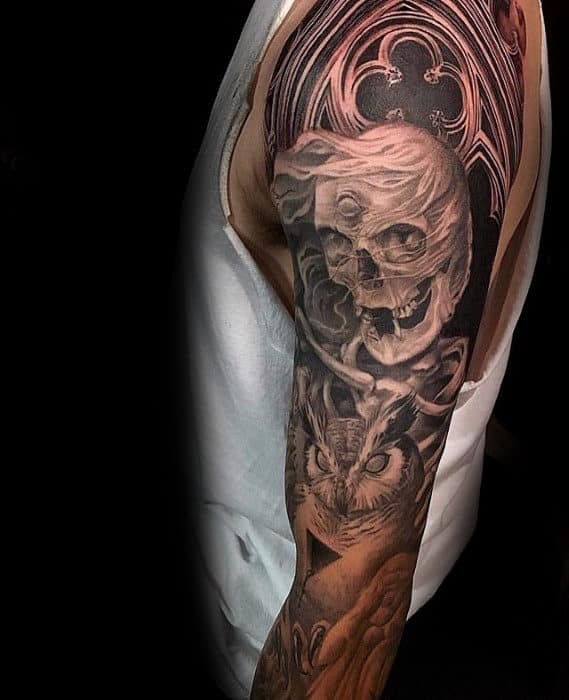 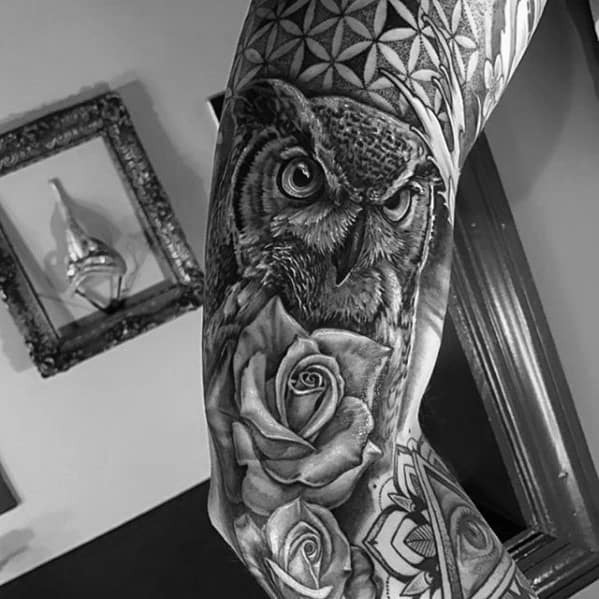 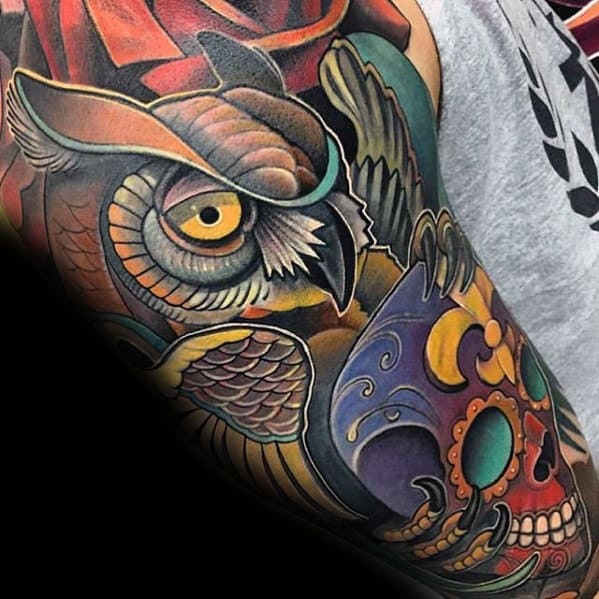 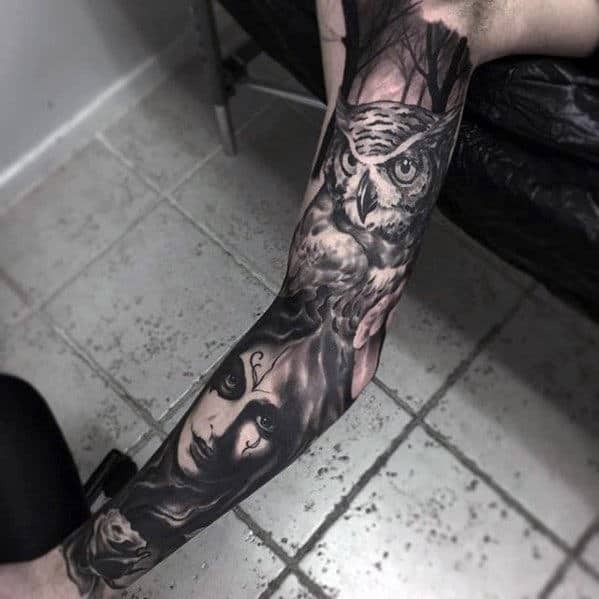 Along with its different connotations, owl sleeve tattoos have many different styles and designs that can look right into your soul, mesmerize you with loads of colors, or mystify you with its flurry of feathers and majestic wings.